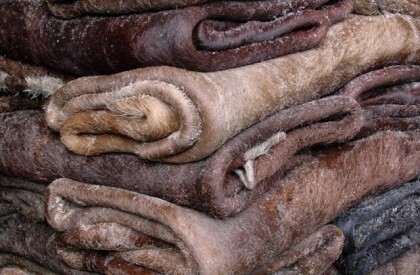 KAGUVI Vocational Training Centre in Gweru has announced a partnership deal with the local community involving collection of raw hides for the purposes of making leather products. The development comes after the country’s largest shoe manufacturer, Bata Shoe Company, donated five leather stitching machines to the institution last week. This will see the centre supplying 3,000 pairs of shoes to Bata retail outlets monthly. Kaguvi has been roped in as an Associated Business Unit (ABU) where the footwear manufacturer has subcontracted local enterprises to make shoes on its behalf as part of its empowerment programmes and compliance with the country’s indigenisation laws. Kaguvi Vocational Training Centre principal Villie Makonye said the centre would roll out a pilot project in one of the wards where a training programme will be instituted. “We want to increase the supply of raw hides to the centre especially after the donation of shoe making equipment, which means we will need a constant supply of the commodity. At the beginning of the year, the centre mooted an idea of partnering the community in the collection of raw hides. We’ve identified a ward for this purpose to run a pilot project,” he said. Makonye said the project would be part of the vocational training centre’s efforts to empower the local community. He said apart from the empowerment exercise, Kaguvi is also training youths in the community who are not enrolled at the institution various life skills such as shoe making and bricklaying.